Exquisite Fusion Magazine is crafted with traditional and nontraditional insight on real world advice from our new creative contributing advice columnist the "e-Formation Queen" Carolyn Gray. The publication includes fashion reviews, entertainment, technology and a unique style that captivated audiences around the world. 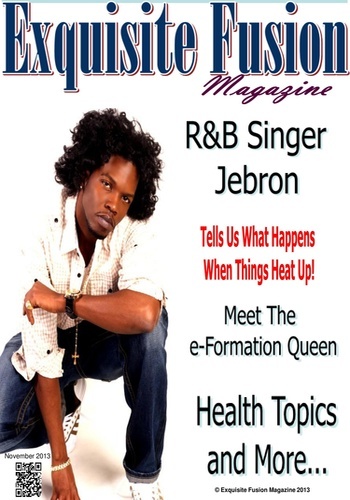 Readers can follow along and read about the epic story of this month's cover story R&B Singer Jebron. The magazine also has insight related to business related topics and topics that interest women and men alike.